As a 25-year-old Professional bass fisherman and Licensed USCG Guide, Kyle Monti of Okeechobee Florida can appeal to an audience of many. 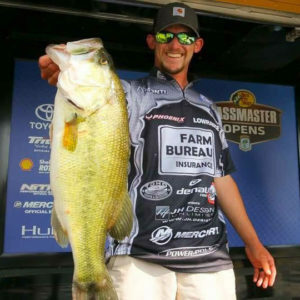 Kyle has competed at every level of Professional bass fishing, and recently completed his rookie season on the FLW Tour in 2016 as a Professional. In 2017 Kyle is competing in FLW Series events as well as the Bassmaster Southern Opens. Kyle has been fishing competitively for fourteen years, and as one of the youngest competitors in the sport, Kyle is a standout in the crowd. 4 time Angler Of the Year of the Big O Teen anglers Inc.
1st Place BFL Champion Lake Okeechobee (2013, Boater) with a full 200 boat field.